A number of companies stock a variety of wood flooring. 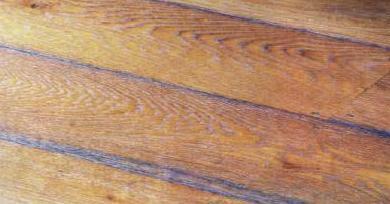 Parquet or board can be found in a variety of woods such as native or European traditional oak or elm, pine etc. Where sourcing tropical hardwoods, care should be taken in ensure that the woods are certified as from sustainable locations, as mismanagement is adding to climate change and the extinction of species. With a business heritage stretching back over 20 years, we specialise in sourcing standing trees of English and European hardwoods including oak, ash, and elm. We hold a comprehensive stock of kiln dried and air dried wood ready for immediate delivery. By personally purchasing the logs on site, overseeing the milling, kiln drying and end sale, Ben Sutton is able to be completely confident in the quality of his product and offer a fair and competitive price. Over the last 25 years we have supplied timber for many prestigious building projects in the UK, including the Globe Theatre, Houses of Parliament, Royal Festival Hal and more recently a fabulous floor for Rochester Cathedral library. Coventry Demolition Company, is one of the uk’s leading suppliers of cast iron radiators, as well as many other reclaimed and reproduction period products. Established in the mid 1980’s, we have built up a successful business supplying reclaimed and quality reproduction products for well over 25 years. We also offer solid wood flooring and cottage doors, Victorian style door furniture, as well as unique architectural items including reclaimed bricks and tiles. Lassco deals in architectural antiques with branches in London and Oxfordshire. Items include chimneypieces, doors, door furniture, panelling, stone and timber flooring, cast iron radiators, bathrooms, lighting, mirrors etc. Established in 1865. W L West & Sons Ltd is an old established family timber merchant specialising in hardwoods. Reproduction of mouldings to fit with heritage projects. Manufacture of Flooring to meet a project specification, and produce parquet flooring. Supply of Fencing and manufactures of bespoke gates. Structural Oak beams, both fresh and air dried. Shakes and shingles - UK agent for Bavarian shake manufacturers, supplying hand cleft Oak and Larch roof shakes in the UK, this company has developed a specialist Shake specifically for Church Spires and roofs. Timber supplies – All types of timber including cladding and weatherboarding. Whippletree, founded in 1989, is a specialist supplier of English Oak, with over 75,000 cu. feet of quality timber in stock. They specialise in the supply of English Oak for the repair of historic buildings and prestigious new build projects including green oak and air dried structural timbers, air and kiln dried joinery quality oak, new wide oak floor boarding in solid or engineered boards, laths in Oak, Larch and Sweet Chestnut and featheredge cladding in Oak, Elm and Larch as well as specialist joinery.